Doing an origin story is also a good start in storytelling. Be careful not to tailor into the message type of brag and show-off, instead going with structure your story around “here’s how far we’ve come and why we still continue what we do with all our best.”. Capturing the emotional journey of early stages of the company is something target audience would be delighted to learn about. It is a good way of to expose vulnerability and conduct human to human connection which results in making a compel storytelling. Try making a story where you are making the interview with the company founder on origin, pains and development of the business or a long time customers or employees about brand evolution are always great on capturing origin storytelling. Factors to consider when for a good storytelling. Identify right people to tell the stories. It is the best to avoid a sales pitch as much as possible. Remember that this is a story providing the path that your audience can connect with your brand. There is no harm in adding a call to action at the end of the video, or even links. But keep it subtle. Be consistent with theme and make it simple enough to highlight the key message you try to tell the audience. Consider a high video production value, we highly recommend working with professional video production team to work with you to plan, produce and edit your video. It really makes all the difference. make a high quality video. This ensures that the story you want your audience to learn is told properly as it should be in the first place. Do your homework beforehand about the engaging and relevant story that is in your everyday work. Try to focus more on your customers, employees, your organization culture. Consider including subtitles to your video. It not only reinforces what is said in the native language but makes it easier for non-natve speakers to understand what is being said. By identifying your own meaningful story, and a good storytelling execution, you can win over the hearts of your target audience leading them to become your customers, partners and fans. 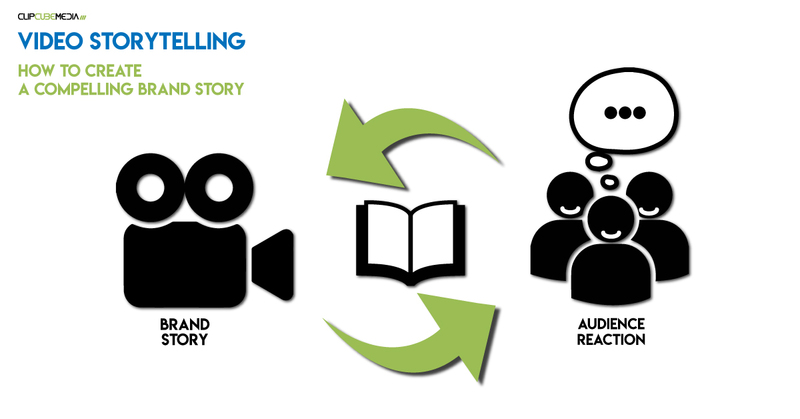 Meaningful story is powerful but good storytelling creates compelling content that connects with your audience on a deeper level. ClipCube Media provides professional inhouse video production services from our studios in central Bangkok and will help you on this journey. We produce planning conulting, video production (studio and offsite), post production editing services and marketing of your video.